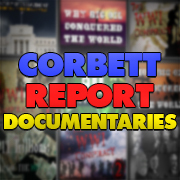 This is James Corbett of corbettreport.com with your Sunday Update for this 22nd day of May, 2011. And now for the real news. The balkanization of the world’s population by the global power elite who benefit from all violent resistance continued apace this week as protests against governmental oppression and economic austerity spread throughout the world. In Spain, citizens utilizing internet and social networking technologies have created a mass protest movement that has drawn 10s of thousands to occupy town squares across the country. The protests, known as M-15, have so far sprung up in Madrid, Valencia, Seville, Balbao, Barcelona and numerous other towns. The protests have been peaceful and not centered along traditional party lines, so corporate controlled media has had difficulty marginalizing the movement as a ragtag collection of youth upset about unemployment. Now, solidarity protests have sprung up around the globe as disgruntled citizens in numerous countries find themselves similarly fed up with the political status quo. In the Ukraine, the protests were sparked by poor economic conditions. In Turkey, ethnic Kurds rioted over the killing of 12 members of the Kurdistan Worker’s Party by Turkish security forces. In Ireland, Republicans have clashed with police in protest of Queen Elizabeth’s first visit to the Irish Republic. The Queen is the first British monarch to visit the country since it broke away from British subjugation in the Irish struggle for independence. In the US, hundreds of protestors braved inclement weather to demonstrate outside of JP Morgan’s annual meeting in Columbus, Ohio. Those in attendance were upset over JP Morgan’s illegal foreclosure practices, including instances in which contractors illegally broke into people’s homes to change locks despite the fact that the houses in question were not in foreclosure. Despite engaging in peaceful and lawful demonstrations, several of the attendees were maced by police, including several elderly citizens. In Indiana, meanwhile, Stephen Skolnick is organizing a rally to protest the recent State Supreme court decision overturning the 4th Amendment, and allowing police officers to enter any home at any time without a warrant or even a reason for entry. As protest movements gain momentum across the globe, governments who feel threatened by citizens refusing to bow down to their supposed authority have now launched counterstrikes in the information war by attempting to censor the free flow of online information that make these movements possible. In the latest example of governmental collusion with the big corporations that control a greater and greater percentage of the internet, Google-owned YouTube has complied with a request from the UK government to take down a video of a group of citizens operating under the name Lawful Rebellion who seized a Birkenhead Country Court and used their guaranteed liberties under the Magna Carta to arrest the judge and claim the court for the people. According to Google’s own transparency report, the majority of removal requests in most countries are fully or partially complied with. This news comes on the heels of this month’s Orwellian pre-crime arrests in the UK where dozens of citizens were arrested in advance of the royal wedding on the grounds that they might have been planning to protest the future wedding. 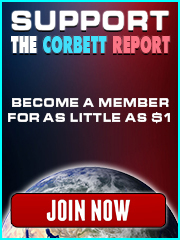 Now, concerned citizens of all party affiliations, all ideologies, all creeds, all races and all stripes are uniting to engage in a conversation about the best and most effective way to re-commandeer the supposedly public institutions that have long since been bought and paid for by the global political power players. One of the activists arrested in those recent UK pre-crime arrests, Charlie Veitch, spoke on this issue at the May 5th meeting of the Defend the Right To Protest movement.